Tales of a summer with a 91 (now 95!) year old: A foray into the unknown. A foray into the unknown. There's 2 unknowns at work here, one good, one bad. We'll start with the bad first. 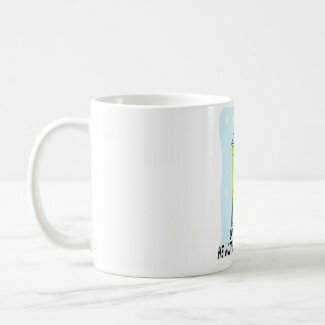 My second foray into the unknown is my continued work at Zazzle.com. 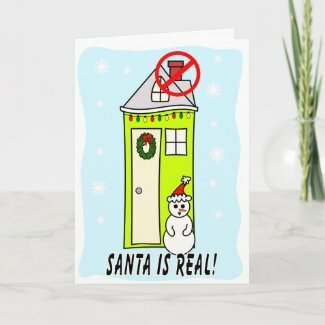 I have a lot of products planned and have just been focusing on my Santa is real...he just doesn't like you stuff. Hopefully, I'll have some Christmas sales. Squidoo is coming along and I'm getting sales on my articles a few times a week which is nice. Sure doesn't touch the income from the now non-existant eHow though. I sure miss those months of raking in a lot of free dough. Ah well, all good things must come to an end, or so they tell me. 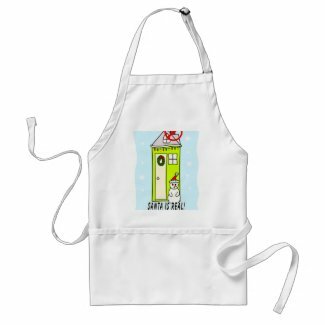 How about a nice apron? Lori! I am sitting here cracking up. "She's gonna blow today...". Good luck to you and Gert! Love the new Christmas items! So cute and so true for some people.